Miami Beach luxury hits the Grand Strand. This is how many visitors describe this new condo complex. If you are looking for a condo for sale in Myrtle Beach then you will want to include this building to your 'must see' list. 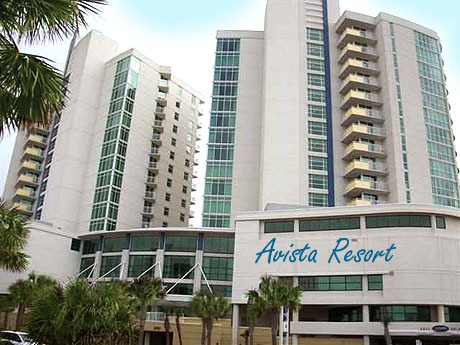 Avista Resort condos are a perfect investment with great income potential yet doubles as a fantastic beach retreat for those needing a place to get away. This particular North Myrtle Beach condo has one bedroom yet can sleep a minimum of four people comfortably. If you are looking to invest in Myrtle Beach Real Estate then you want to purchase in a building that is packed with amenities. When you own a condo the Avista then you have unlimited access to the resort's many pools, hot tubs, lazy river, fitness center and much more. The best way to describe this condo is.... Luxury+Oceanfront+Most Amenities for $149,900 = VALUE. Our website is becoming the most information packed Myrtle Beach Real Estate Website on the internet. Check us out and let us know what you think!